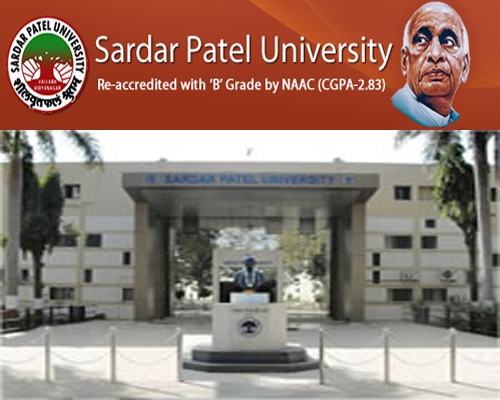 Sardar Patel University (SPU) VVNagar (Anand)Recruitment 2017. | Adhoc Lecturer Post: Sardar Patel University has published recruitment notifications for below mentioned Posts 2017. More information please read below mention details carefully. Educational Qualification : 55% in MSW/MHRM. Preference will be given to NET/Ph.D candidates.